Home Tags Articles tagged with "tax"
The City of Maricopa is letting its citizens know that Arizona’s governor and state Legislature has instituted a secondary property tax without a vote by those affected. The city’s (8/15/18) press release sounds the alarm that they believe the action “is illegal and unconstitutional.” The city also cites the threat of “serious financial penalties” for noncompliance. I find it amazing that these GOP elected officials were too afraid of tarnishing their NRA ratings to take any steps toward protecting schools. They couldn’t find the time to continue funding health care for Arizona’s low-income children. They didn’t take even a moment to meet with the #RedforEd teachers – instead closed their doors and ran down the back stairs. Yet, this governor and state representatives found the time and energy to get together in the basement of the capital and stick it to the homeowners and small businesses of the city of Maricopa. Led by Rep. Vince Leach, at the last possible minute, under the cover of dark, the GOP snuck into the budget a property tax increase for Maricopa Unified School District. This action was taken after they vowed to not raise anyone’s taxes. I not only support the city and residents of Maricopa in calling this action “illegal and unconstitutional,” I call on all LD11 voters to join in this fight. It’s time to stop voting for legislators who fail to stand with those they were elected to represent. I urge you to put party affiliation aside and vote to protect your right to honest, open and transparent government. 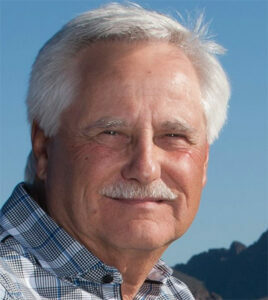 Ralph Atchue is a Democratic candidate for State Senate – LD11.